The Lion In The Desert: Introducing the Book and the Author! Introducing the Book and the Author! Matthew Benecke--graduate of the inaugural Macaulay Honor's College Class of 2005--has just released his debut novel, The Lion in the Desert. A supernatural thriller, The Lion in the Desert takes readers on a terrifying journey rife with otherworldly encounters and visions of a hellish future. Set amid a backdrop of political subterfuge and the potential for a Third World War, it is at once haunting and captivating in its realism. In a desert bunker hidden halfway around the globe, Dr. Calvin Brody holds the end of the world in his hands. An American expatriate hell-bent on revenge, Dr. Brody finds himself on the verge of fulfilling his dream of destroying the country he once called home. What began merely as a quest for vengeance though might forever alter the face and future of the planet. Amid the ever-present threat of terror attacks on his native New York and growing tensions between global superpowers, Tim must decide whether his nightmare is merely a dream or an omen of what is to come." Matthew holds a Bachelor's of Business Administration in Finance from Baruch College, which was earned as a member of the first-ever class of Macaulay Honors Scholars, as well as a Master's in Adolescent English Education from Brooklyn College. In 2009, he developed and instructed a fiction writing seminar at Baruch College through the College Now program. 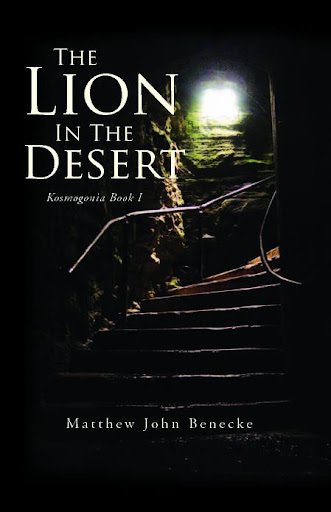 Since then, he has focused on his writing career, releasing The Lion in the Desert--the first book in the Kosmogonia series--on June 11th, 2016.